Following an endorsement from world-conquering pop queen Taylor Swift, Nashville street paper The Contributor has found another top celebrity supporter. Through his Third Man Records (TMR) label, Jack White has published a collection of poetry by the homeless and formerly-homeless people who sell the paper. And TMR is giving all the proceeds from the first print run to The Contributor. 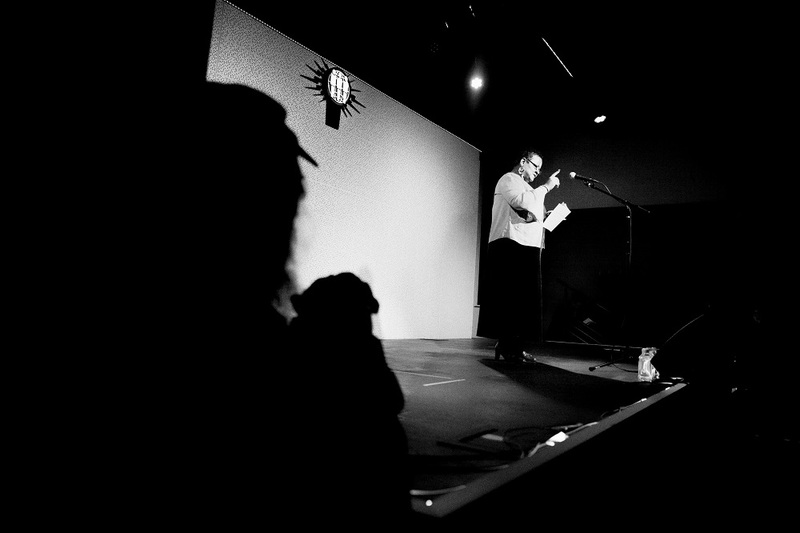 The book – Acknowledge: An Anthology of Selected Poems from The Contributor – was launched last week at a packed reading in TMR’s own performance space. 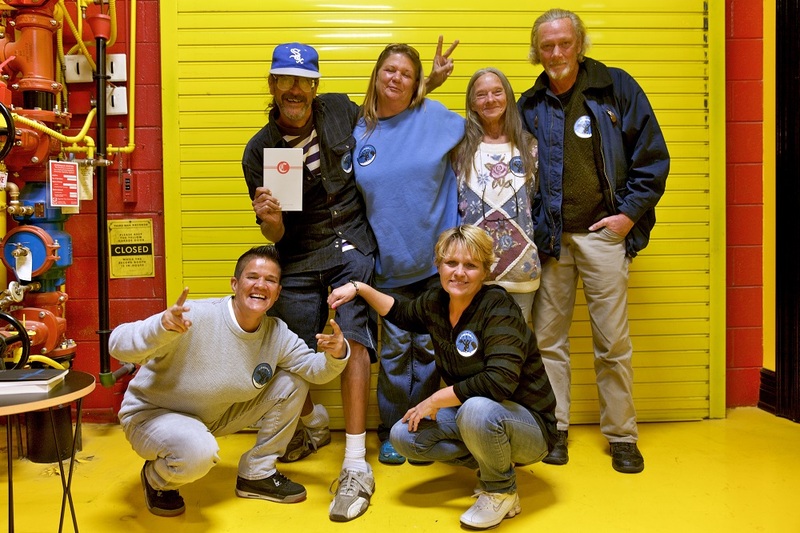 “Jack White was there and he was so kind to our vendors and so generous with his time. He’s a very humble person, especially considering his credentials and status in the creative community,” said The Contributor’s editor Skip Anderson. “He was so supportive of our poets, and of our mission and everything we do. It meant a lot. Jessie F. (bottom left in the photo above) was one of the poets who read on the night. She is currently homeless in Nashville and sells The Contributor to support herself. She said: “It went great. I had a wonderful, beautiful, extraordinary time. It was phenomenal. The Third Man staff were so very kind to us. Third Man’s Joshua Gillis edited the Contributor poetry book. He said: “Working with The Contributor vendors was meaningful to TMR in three major ways. We were able to honour their hard work, dignify their poetry, and work together with the institution that continues to provide the tools vendors need to improve their lives. Skip said the Contributor team was delighted to see many new supporters in the crowd last Saturday – he believes that TMR’s support has helped them to attract a new, younger fanbase. “They were all so interested and engaged in what we do. I shook a lot of hands!” he added. You can buy your copy of Acknowledge: An Anthology of Selected Poems from The Contributor here.